In the small village of Termonfeckin in County Louth The Waterside has a great location for those exploring the region surrounding Drogheda and Dundalk. br / br / br / br / For keen golfers the challenging golf courses of Seapoint Golf Club and County Louth Golf Club in Baltray are both within easy reach. Dublin Airport is only a 25-minute drive away. br / br / br / br / On the banks of the Ballywater River Flynns Hotel is a 5-minute drive from Drogheda this historic 19th-century building offers luxury accommodation. A short distance from the beautiful beach perfect for a relaxing walk. Free on-site parking is available. br / br / br / br / The newly refurbished rooms have river views and each room is en suite with a shower and bath. Every room has a flat-screen TV and telephone. 2 rooms are located in a separate coach house overlooking the secluded and secure courtyard. A full Irish breakfast is made fresh to order and served in the restaurant overlooking the Ballywater River. br / br / br / br / The Hotel is close to the historic site of Newgrange and the Battle of the Boyne site and Oldbridge. The village has its own historic ruins of Termonfeckin castle. Or why not visit Drogheda city centre is a five minute drive where you can enjoy shopping and restaurants. 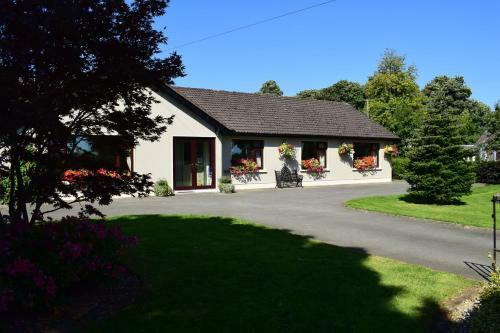 Quality and value B&B conveniently located half a mile from Kingscourt close to Cabra Castle, Dun a Ri forest park with wishing well and peaceful forest walks, golf, horse riding, fishing, Lough an Leagh mountain for hill walking, Gartlan's thatched pub. Situated on the banks of the River Boyne in Navan, this delightful hotel offers a lively bar and excellent dining in La Mezzanine Restaurant. The hotel has an elegant banqueting suite overlooking leafy gardens. This old world hotel offers guests the true Irish experience with a lively bar in the pictureque village of Trim. Visit Trim Castle or the intriguing Yellow Steeple or play golf at the near by Knightsbrook Course. Catering for Guest 25yrs.We have 20 Rooms All Ensuite.Inc Family Rooms & 3 Self Catering Apts.Plasma TV,Wireless Internet,T+C,24 hrs Breakfast.We are 2 min from Ashbourne,5 min from M50 & Fairyhouse Race Course.Croke Park & Dublin Airport are 10 min Away. Newgrange hotel in Ireland is a luxurious and enchanting destination in the heart of Navan. Set in one of the most historical and beautiful spots in the country guests from around the globe are invited to experience the old world charm of luxury hotel accommodation in Ireland. Fused with modern amenities our award winning 3 star hotel offers a lavish retreat just 25 minutes outside the cosmopolitan city of Dublin. Our three star deluxe hotel offers 62 en suite bedrooms all spaciously decorated and designed with guest comfort and tranquillity in mind. Newgrange part of a set of family run hotels in Meath is not only ideal as a holiday retreat but is also widely used as a meeting and event location due to its reputation as a sophisticated and well run establishment. We hold wedding receptions and civil ceremonies and our one wedding per day policy ensures the bridal party is never left wanting by our skilled and attentive team. With facilities for meetings banquets and celebrations we ve got everything needed to throw the bash of the year. Corporate companies looking for hotels near Dublin that boast a tranquil and elegant country atmosphere are able to enjoy business meetings and conferences at Newgrange too. Indulge in Irish hospitality and scrumptious fare at the in-house Bridge Brassiere Restaurant enjoy something light and delectable at Ruxtons Caf? or grab a drink and unwind at Rowley s Pub. When the mood strikes in colder months relax in our library lounge by a warm open fire and browse our selection of classics. When staying at this popular spot you ll never be short on entertainment leisure or historical tales as there is much to see and do in and around the area. Named after the ancient monument at Newgrange just 15 minutes away Newgrange hotel boasts the ideal mix of stylish allure and modern magic. Contact us to book a room at a well known elegant and popular hotel in Ireland and experience Newgrange today. Here you will find an excellent base from which to explore the rich Boyne Valley area which has the richest and most important of Ireland s history to offer you and your hostess Peggy is a Boyne Valley Champion who will provide you with all the information you need. br / br / br / br / En-suite guest rooms br / br / Central heating and orthopaedic beds br / br / Beautifully decorated TV lounge with fireplace br / br / Private parking br / br / Washing & drying facilities for fishermen golfers walkers and all br / br / Pets catered for br / br / Your breakfast is served in an antique furnished dining room and we offer a full Irish breakfast together with other selections. Enjoy modern 4 star comforts at CityNorth Hotel together with the benefits of a convenient location. Easy to find off exit 7 on the M1 the hotel lies just 20 minutes north of Dublin Airport (Courtesy coach at 10.00 pp each way and must be prebooked) and 30 minutes from Dublin city centre (a frequent public coach service operates daily with a bus stop firectly on the hotel grounds). Complimentary Car Parking during your stay and 3.00 per day thereafter. The historic town of Drogheda gateway to the famed Boyne Valley region is just a short 10 minute drive away. At the CityNorth Hotel you can expect to combine all 4 star hotel comforts and service standards with a vast array of diverse activities on your doorstep...allowing you to refresh unwind and have fun exploring this wonderful part of Ireland. Take in a little culture within the glorious famed Boyne Valley region indulge in a little retail therapy at some of the stylish local boutiques or larger shopping centres also nearby. Mingle with the locals in the nearby village of stamullen - which is a short countryside stroll drom the hotel grounds or unwind with a peaceful coastal stroll along the beach in the morning with afternoons spent exploring our quaint local villages or buzzing towns with their traditional cafes trendy coffee shops gift stores art galleries and restaurants which offer authentic menus from Italian to Spanish Tapas.. Prefer to pamper The hotels Lavender Suite is a relaxing retreat offering a range of keenly priced beauty and massage treatments. There s plenty of activities nearby for families (keeping both tots and teens happy) including the fantastic Funtasia entertainment centre and aquapark Red Mountain Open Farm and Ardgillan Castle with homebaking at its best in their cute coffee shop. Our more sporty/outdoorsy guest will enjoy the superb links golfing in the region go-karting greyhound racing or horse-riding - all of which can be booked from the hotels reception. Try your hand at clay pigeon shooting there are lessons available at Courtlough - Irelands premier shooting ground!. There is a well equipped fitness suite to enjoy and childrens games room for adult (!) & kiddie amusement. Alternatively a frothy coffee may be enjoyed from the comfort of the hotels stylish lobby with its baby grand piano (often in use) newspaper or book in hand. Whilst there is often entertainment in the hotel at week-ends and Sunday lunchtimes a check out the line up in the local Seamus Ennis Cultural Centre which plays host to some of today s foremost musicians songwriters and offers an intimate performance space - regarded by many as one of the Irish music scene s best keep secrets! Set in beautiful and tranquil surroundings less than five minutes drive from Kingscourt Town Centre 12 minutes from Carrickmacross Town Centre and only two minutes drive to Cabra Castle and Dun A Ri Forest Park. br / br / br / br / We have two double rooms both with luxurious King-size beds and also one family room which contains both a King-size and single bed. All rooms are en-suite and are equipped with a TV and Broadband WiFi. You will be offered complimentary tea or coffee on arrival. br / br / br / br / If you re attending a wedding or event at Cabra Castle why not treat yourself to a relaxing break with us we re just two minutes away and we ll make sure your stay is a special one. br / br / br / br / Plantation Lodge is run by Emmet and Kathleen Carolan. br / br / Over the last six years they have gained a reputation as caring and considerate hosts and will go out of their way to ensure their guests have a comfortable relaxing and stress free stay at their bed and breakfast home from home: Plantation Lodge. Nestled in the picturesque heart of the heritage town of Trim just 35 minutes from Dublin lies a hotel in Ireland that invites guests to immerse themselves in the old world charm unique culture and vibrant and fascinating history of this beautiful town. The Castle Arch Hotel is an award winning three star boutique hotel taking the Trip Advisor Choice Award for 2012 among other laurels. 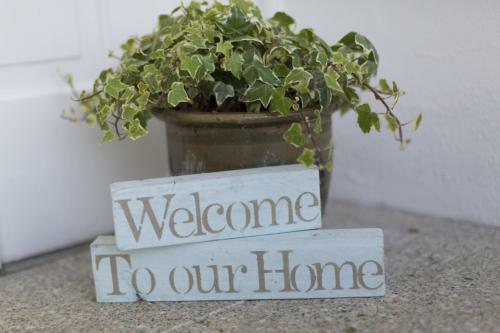 We offer a warm and inviting home away from home whether you re after a memorable family holiday rich in new experiences or you re hosting a wedding reception civil ceremony or family celebration of any description. Our famous hospitality and impeccable service levels will ensure that you get the most out of your time with us. 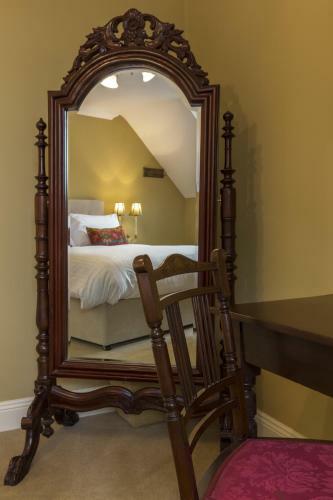 You ll soon see why our 21 en-suite rooms stand among the most desirable hotel accommodation in Ireland. Need to host a business meeting at an Irish hotel Meath is central and easy to access and the event management and catering services of The Castle Arch Hotel will be on hand to help you make your event a resounding success. The Castle Arch Hotel is surrounded by some of the most fascinating and inspiring cultural heritage sites in all of Ireland. Take a step back in time and wander through buildings dating back to the 1830 s. Experience the presence of King John s castle the ancient fortress where the movie Braveheart was filmed and touch the walls of this largest Norman castle ever built in Europe Trim Castle completed in 1174. There are beautiful walkways throughout Trim which make accessing these fascinating sites easy and convenient. At Castle Arch even the building itself is steeped in history. Our building was once The Royal Irish Constabulary Barracks and parts of the original structure still exist. 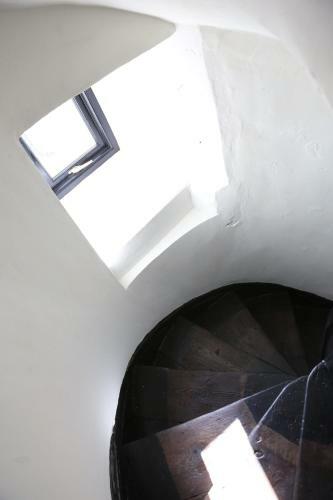 Offering a terrace and views of the city, Hatch's Castle is located in Ardee, 25 km from Newgrange Slane. You will find a kettle in the room. Rooms include a private bathroom. Extras include free toiletries and a hairdryer. Set in Stabannan in the Louth County Region, 25 km from Carlingford, Deeside Manor boasts a sun terrace and views of the mountain. Free private parking is available on site. A TV, as well as a CD player are available. 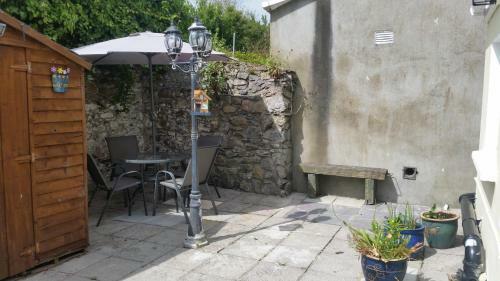 Featuring free WiFi, St. Jude's B&B offers accommodation in Dún Léire, 27 km from Carlingford. Free private parking is available on site. Every room has a flat-screen TV. 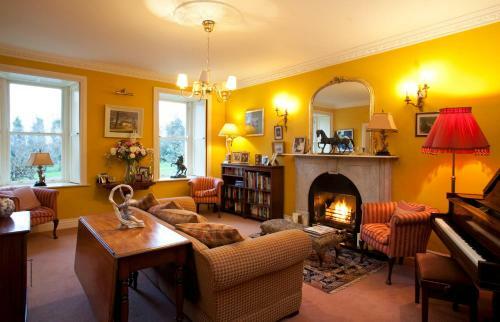 Slane is 17 km from St. Jude's B&B, while Swords is 43 km from the property. 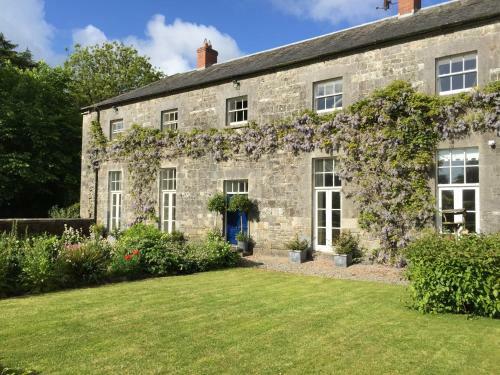 Situated on half an acre of manicured gardens, Woodview B&B features free on-site parking and is within 5 km of fishing sites and golf courses. Guests can also enjoy picturesque views over the countryside. Broadacre Farm offers accommodation in Stabannan. Free WiFi is provided and free private parking is available on site. The rooms come with separate bathrooms. In the town of Tallanstown, 10 minutes’ drive from Ardee and 15 minutes’ drive from Dundalk, Louth Hall B&B has free Wi-Fi and offers tea/coffee and home-made scones on arrival. 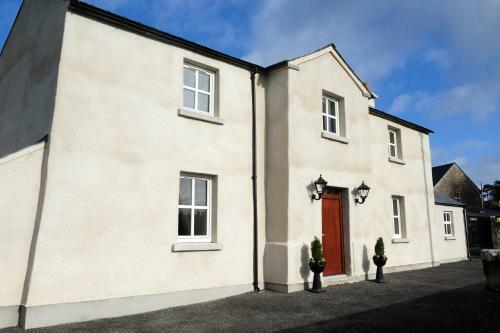 The Corner House is a semi-detached holiday home set in Drumcondra in the Meath Region and is 37 km from Carlingford. 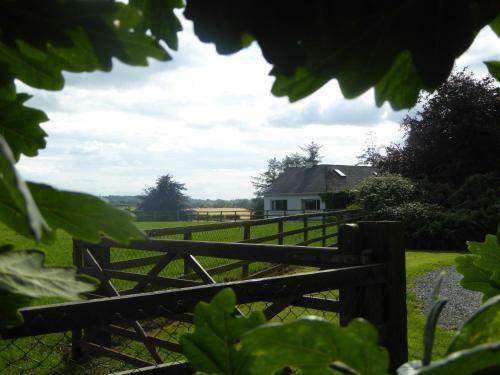 The property boasts views of the city and is 17 km from Slane. Free private parking is available on site. Offering a garden and barbecue, Townley Hall Apartments is set in Slane. Hill of Slane is 7 km from the property. Free private parking is available on site. All units feature a flat-screen TV. There is a seating and/or dining area in some units. 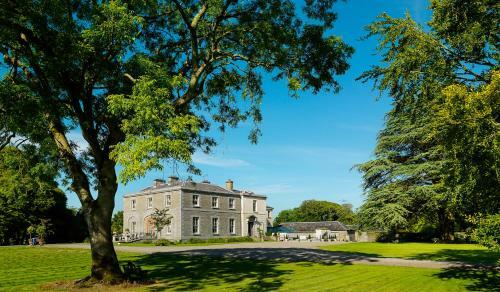 Located in Ireland near Slane, College Hill House features B&B accommodation set in a Georgian house within 2.5 acres of landscaped gardens, offering a terrace, BBQ facilities, free bikes and children’s playground. Free WiFi is available throughout. Set on a working farm in the Boyne Valley, Slane Farm offers free Wi-Fi and is located next to Slane Castle. It offers country-house style rooms, access to a self-catering kitchen and farm walks. 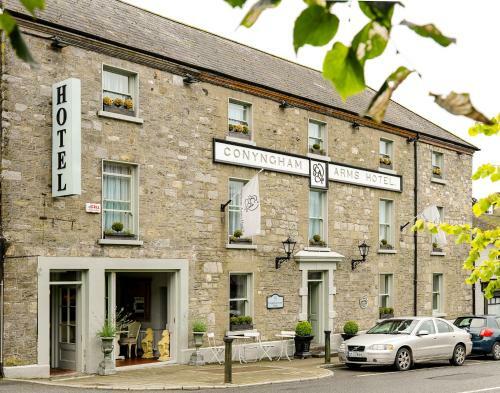 A beautifully restored 18th Century coaching inn, Conyngham Arms Hotel in Slane village offers luxurious accommodation in Ireland’s County Meath. A 2-minute drive from Slane Castle, it has a restaurant and garden, and provides free Wi-Fi and parking. 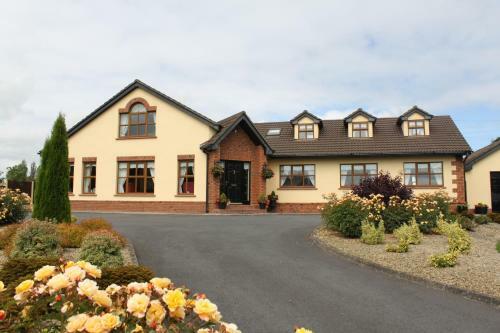 Located in Drogheda, this suite is situated 5 km from Monasterboice. 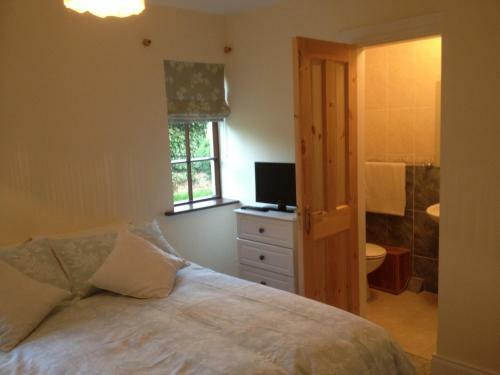 The property is 9 km from Sonairte Ecology Centre and free private parking is available. Free WiFi is featured . Towels and bed linen are provided in this country house. Featuring free WiFi and a barbecue, Rock Farm Slane - Limehouse offers pet-friendly accommodation in Slane, 900 metres from Slane Castle. There is a shared kitchen, a shared lounge and shops at the property.